Q: We want a new fence, how do we begin? Give us a call, or fill out the “Request Estimate” Form and we will schedule an appointment to meet with you and give you a free estimate. From there, we will guide you through the process. The customer services rep that you meet with from the start will be the person that exclusively handles your project and will be available to answer any questions along the way, and even long after the project is complete. Q: What do I need to do to have my fence installed? A city permit is usually required in order to install a new fence. Lifetime Fence will apply for the permit for you, all we need is a copy of your land survey. Q: How soon can I get my new fence installed? You, as our customer, are our top priority. We will make every effort to make this process as quick and smooth as possible. The first step is to apply for the permit. Once the permit has been approved, we can usually start on your fence project in as little as 2-3 days. Q: What is the cost of a new fence? There are many factors that will affect the cost of the fence. In order to get the most accurate pricing and to ensure that you are getting the exact fence that you want, the best thing to do is to meet with a customer service rep. You can use the “request estimate” form provided, or you can call us to schedule an estimate. We accept all major credit cards, cash, and personal check. In addition we offer Financing for approved customers. 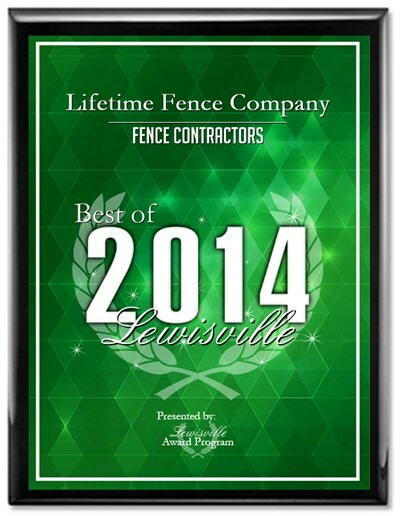 Q: Does Lifetime Fence really offer a Lifetime Warranty? Yes! We offer a limited lifetime warranty, in writing, with every fence we build. 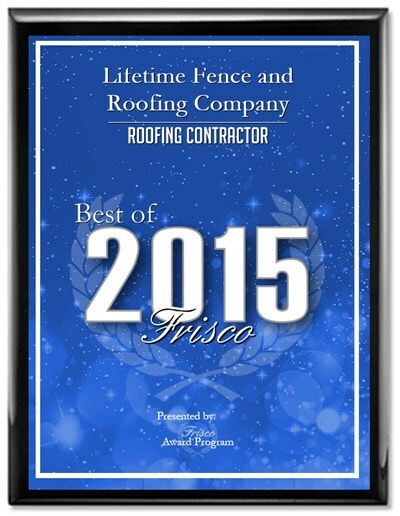 We mean it when we say that we stand by our customers for a lifetime! 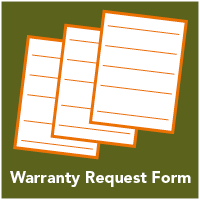 For details about the warranty, please contact us at 214-952-3966. Q: Is Lifetime Fence Insured? Yes, our company is insured for 2 million dollars. This information is available upon request. If you have any other questions, Please give us a call! We look forward to working with you!